Barry Paquin Roberge appeared on the scene in 2017 with the release of their first short-length album, Voyage Massage. 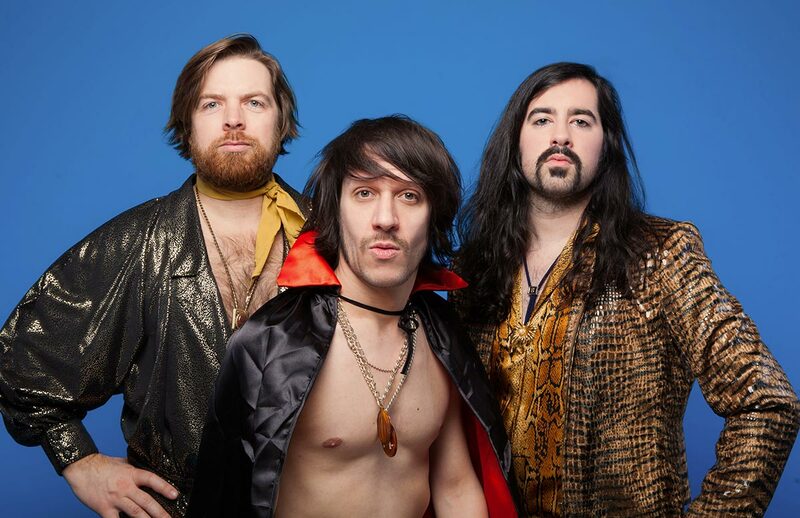 Easily recognizable by their snazzy look, these glittery boys sonically translate your uncle Bobby’s 70’s nudie magazines into music to dance to. To fully recreate the record’s transcendent sounds on stage, the original BPR trio becomes a six-headed beast of a live show. Étienne Barry, Sébastien Paquin and Alexis Roberge front the band while Anna Frances Meyer, Jocelyn Gagné and Jonathan Lafrance keep the party going in the back! While some would say the sound reminds them of the Bee Gees, others would refer to the wackiness of early Mac Demarco or the funk-rock era of Prince. These people wouldn’t be wrong, but they’re not right either: they are Barry Paquin Roberge. Available digitally and physically, Voyage Massage was released under the Costume Records label and very soon, they’ll bring you more music. Stay tuned!